Amazon failed to meet the expectations of traders this week, announcing that its fourth quarter profits declined 57 per cent. While its shares dropped 8.8 per cent on the announcement, it put the numbers down to a wave of mass expansion. The online retailer announced that its profits had slumped, making just £112.4 million in net income, but sales of its Kindle range were looking more than rosy. 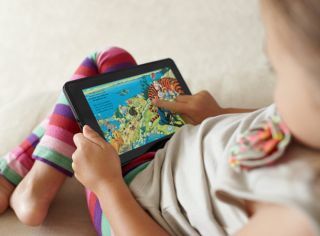 Total sales from the company rose 55 per cent but when it comes to the Amazon Kindle its numbers were up 177 per cent year on year to £11 billion. The Kindle was once again the most popular product sold through Amazon, with twice as many sold as in 2010. When it comes to the Kindle Fire, Amazon has yet again failed to deliver any concrete numbers on the device but did go onto say that it was "very encouraged" by the tablet's figures. It was just about digital, though, with Amazon noting that Harry Potter And The Deathly Hallows Part 2 on DVD was its second most popular product sold through its website. Looking forward, Amazon believes it will make anything between a loss of $200 million, to a profit of $100 million in the first quarter of 2012. We're guessing the company has its fingers crossed for the latter.